This is what happens when you troll too much. It just isn’t an Anderson Silva fight unless he clowns his opponent. He drops his hands, sticks out his chin and dares his opponent to hit him. Call it whatever you want - Silva’s ode to Muhammad Ali, theatrics or disrespect - it has worked for Silva in what has been a legendary career. He’s the greatest champion the UFC has ever seen. But man, did it blow up in his face against Chris Weidman in July. At UFC 162, Silva didn’t just drop his hands and beg Weidman to try and hit him. He pretended like he was hurt, going all jelly-legged when he really was fine. I’m not going to change my style. And then he wasn’t. He was unconscious on the canvas after a Weidman left hook. There was a new UFC middleweight champion and Silva’s seven-year reign atop the division was over. Many people thought Weidman would win the fight, but that way? No one could have predicted it. Silva doesn’t like talking about that July fight. He’s sick of answering questions about it, saying only he made a ‘mistake.’ Yet he vows he won’t change his approach in the rematch against Weidman on Dec. 28 at UFC 168. "I’m not going to change my style," Silva told Fox Sports recently. Maybe he won’t need to necessarily. Maybe he won’t take it to a ridiculous level and this fight will look more like ones against Yushin Okami or Vitor Belfort or Stephan Bonnar. Weidman is better than all those guys. It’s possible Silva didn’t realize it back in July when he clowned a little too much. But he definitely knows it now. We’re all about fighter safety here at Fox Sports. But the Swedish MMA Federation’s decision to rip native son Alexander Gustafsson from his UFC on Fuel main event with Gegard Mousasi in April was a tad ridiculous. Gustafsson had a cut a few days before the fight, but needed just three stitches. UFC president Dana White was absolutely irate, tweeting a picture of Gustafsson without a scratch on him four days before the fight. White called it the worst decision he’s ever seen to pull a fight. What UFC fans got instead was a very forgetful bout between Mousasi and Swedish fill-in Ilir Latifi. Those who showed up to the show were robbed of seeing their star fighter who ended up taking light heavyweight champion Jon Jones to the brink five months later. Not to go all Dana White on Georges St-Pierre’s post-UFC 167 speech, but it wasn’t too bright to tell a crowd you’re kind-of, sort-of, maybe retiring after retaining your welterweight title with a very controversial decision. 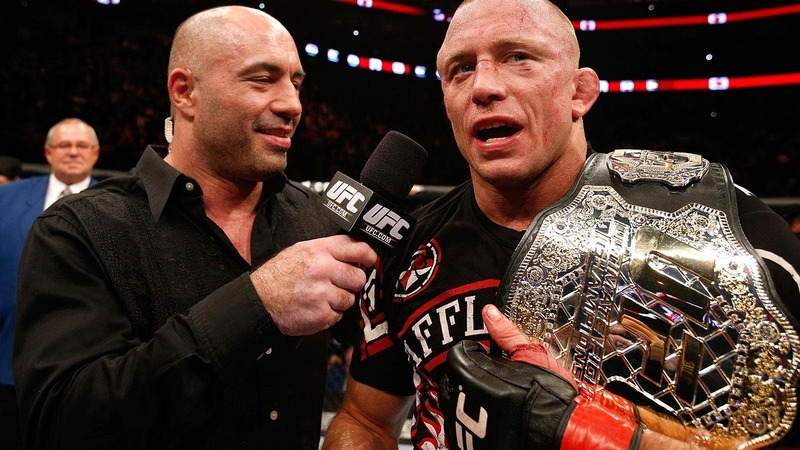 Had St-Pierre never said those things to Joe Rogan after the fight, things would have been so different. There wouldn’t have been weeks of confusion. There would have been no TMZ articles claiming GSP’s dad is dying and he knocked up some girl in Montreal and doesn’t want her to keep the baby. St-Pierre’s ‘zoo’ of a life would have actually been easier if he didn’t open his mouth that night. He admits now that he struggled with the decision to say something and that it was likely a mistake. Indeed. St-Pierre’s normally private personal life became a soap opera unnecessarily. All he needed was that conference call a few weeks later and things would have been straight.